Gift your dedicated fan a spectacular NCAA and college-themed surprise. 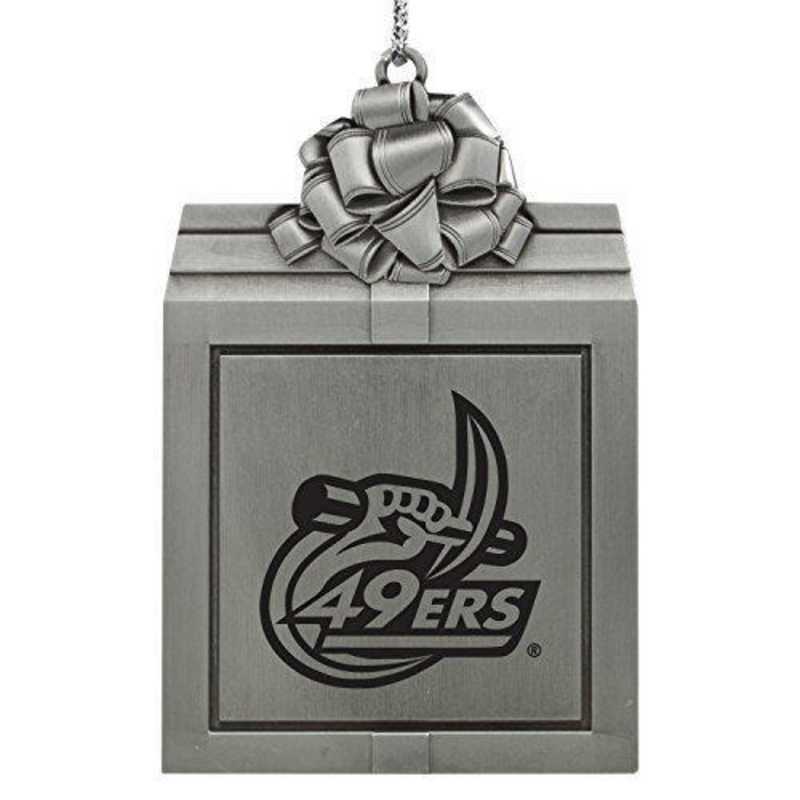 Our University of North Carolina at Charlotte Pewter Christmas Holiday Present Ornament hangs beautifully by a silver cord. This quality laser-etched piece will be a holiday decoration for many seasons to come. Manufacturer direct from a trusted supplier.